Jim loves books. I think his love for me comes close to his love for books. I know that if he had to choose me or the books it would be me but .... The anguish would be intense. 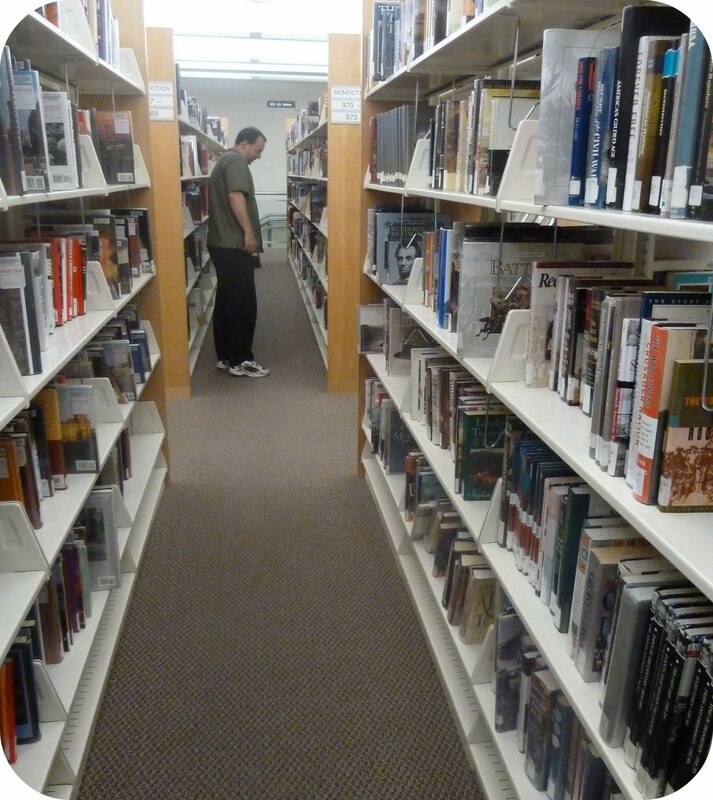 I love watching him browse books. He gets lost in the pages as he decides if a particular book is going to be worth his time. I on the otherhand pick up books willy nilly and decide after I get home if I really want to read it. 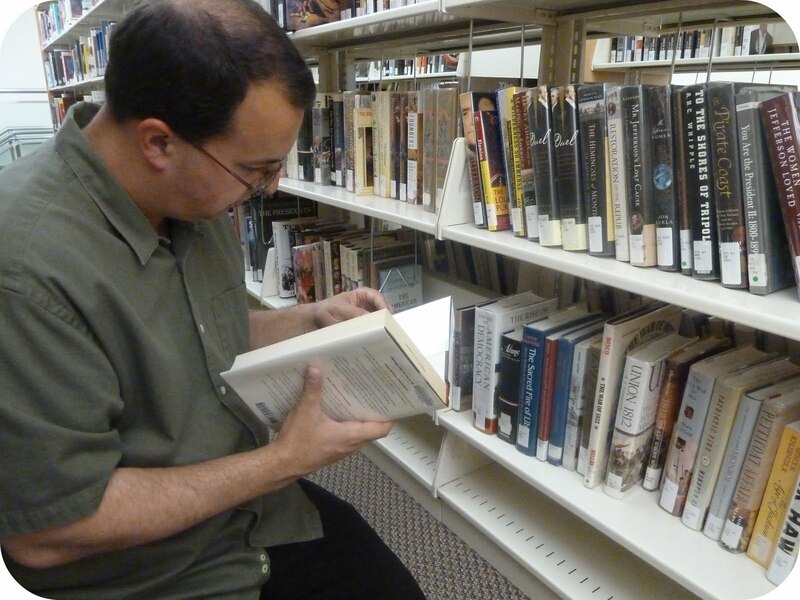 If Jim takes the time to check out a book there is a 90% chance that he will read it. When I check out a book there is only about a 20% or less chance that I will read it. On today's trip to the libray Jim got 7 books and they are all about 300+ pages long. To him that is a short book. A book has to be in the 700-800 page range to be considered long. He will probably have read most of them in the next 2 weeks. That is not including the 3-4 books that he owns that he is trying to get through at any given time. We go to the library so much that we pay for a Provo Library card because the Springville Library is lacking in book selection. In addition to books we both love to eat. 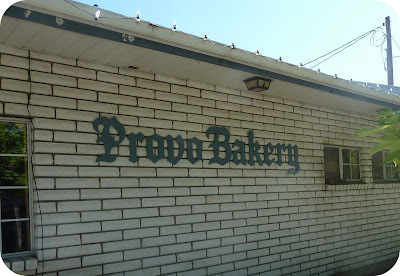 Despite how full we were from our meal our date wasn't complete until we stopped for a treat at the Provo Bakery. If you have never been you need to. No donut, cookie, or pastry will ever be the same once you have tasted the best. Food then Books then More Food = One very happy couple. 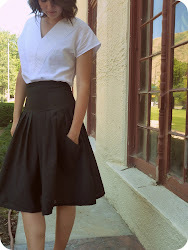 Have you entered the giveaway to win your own custom made skirt?